It has been a great year for South African House and Techno, with many high-profile releases on prolific records labels around the world; as well as our stalwarts taking to the European Dance music circuit and playing at clubs such as The Ritual in Paris and the famed Panorama Bar and Watergate in Berlin, Germany. 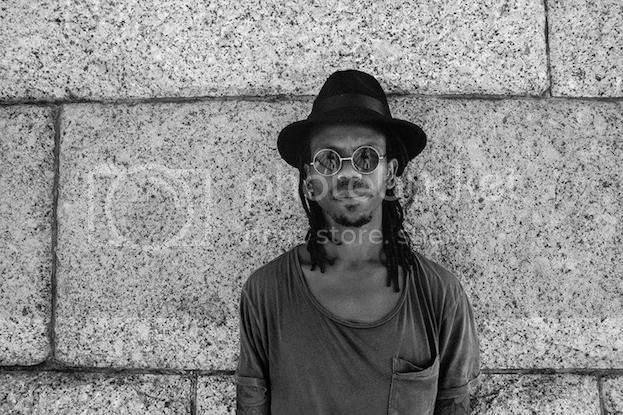 Floyd Lavine is one such artist, leading the wave of exports to infiltrate DJ boxes and dancefloors outside of their homeland. For one day only, Nomadiq Music - an authentic home-grown stable of quality producers from Cape Town and all around South Africa - are giving away Floyd’s new EP, ‘Red Sheep’ via their Soundcloud page. The giveaway is a celebration, not only of the expansion of our global influence but also their coming of age. A1 – ‘All The Red Sheep’ is inspired by the ‘dubbier’ side of House music. Raw grooves, chord stabs and subtle emotive pads build the track into a gentle and hypnotic journey, laden with melancholic vocals. It’s an emotive and sultry composition that will absorb any Deep House dancefloor. A2 – 'Keyo Fufu' is a fresh take on Floyd’s signature House and Techno style. Focusing on the soundscape and design of the sound, this ‘Low Slung Ghetto House’ track - as he calls it – is moodier than its counterpart. Relying more on the underlying chords and loop based groove to bring the track together - the piano parts dance around the rhythm while the morphed vocals give a human touch to this deeply emotive splash of Electronica meets House and Techno. 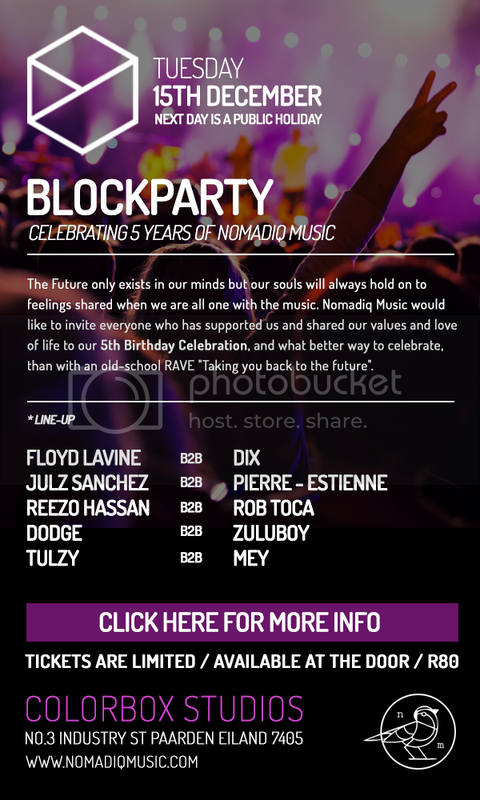 To top the 5 year anniversary in true Nomadiq style, they will be hosting an all-encompassing BLOCK PARTY at their home-ground Colorbox Studios in Paarden Eiland, Cape Town. The line-up will see the good friends of Nomadiq going back to back ‘In True Mashup Style’, allowing the music to take its own journey throughout the night. DJs include Julz Sanchez & Pierre Estienne, Rob Toca & Zuluboy, as well as the trifecta of Floyd Lavine, Dix & Dodge.